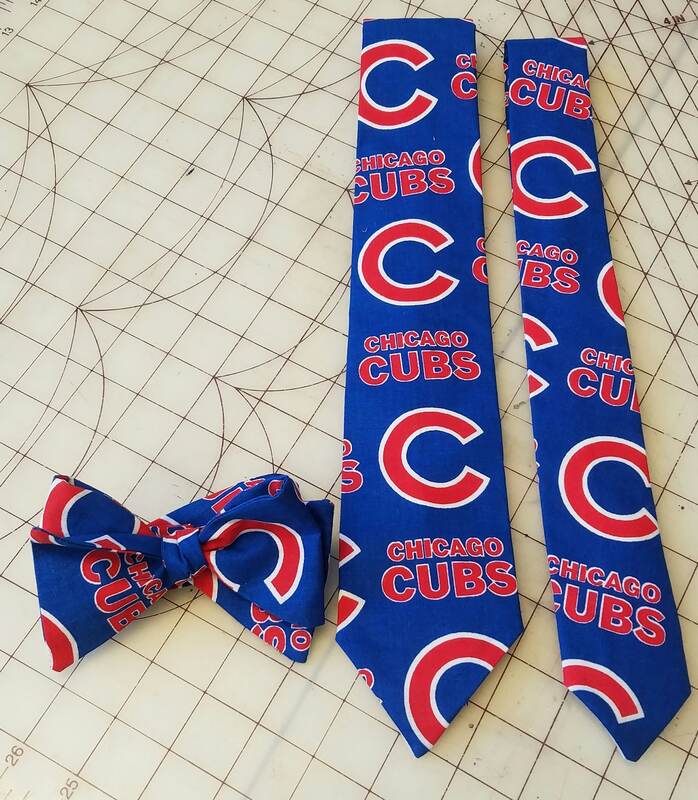 MLB World Series Champions Chicago Cubs Necktie in bow tie, skinny tie, or standard tie styles, and kids or adult sizes. Great for any fan. Adult bow tie is self-tie, sized to 16.5", custom length available at no charge. Kids’ bow tie comes pre-tied, and has back elastic to allow it to slip over the head. Please see chart below for full necktie and bow tie sizing for children and adults. 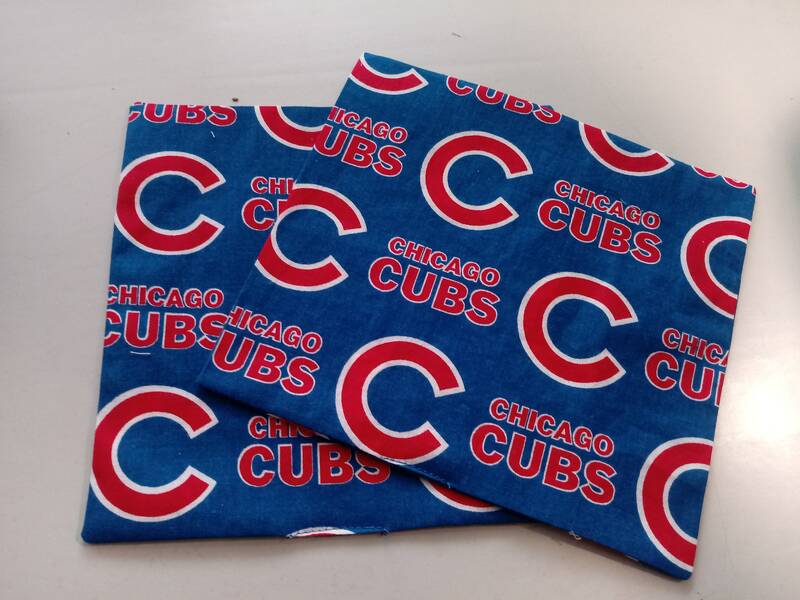 I LOVE that the pocket square was an option! It will perfectly complete the prom outfit this year! We couldn't decide on the bow tie, skinny tie or regular tie so we ordered them all! Love them!